Three Rockin’ days of Bands! Record Hops! Vendors! Car Show! Indoor Pool Party! And More! All taking place at the lovely Sturbridge Host Hotel in Sturbridge, Massachusetts on September 27, 28 and 29th, 2013. New England in the Fall, with your friends and live music… What a great weekend! 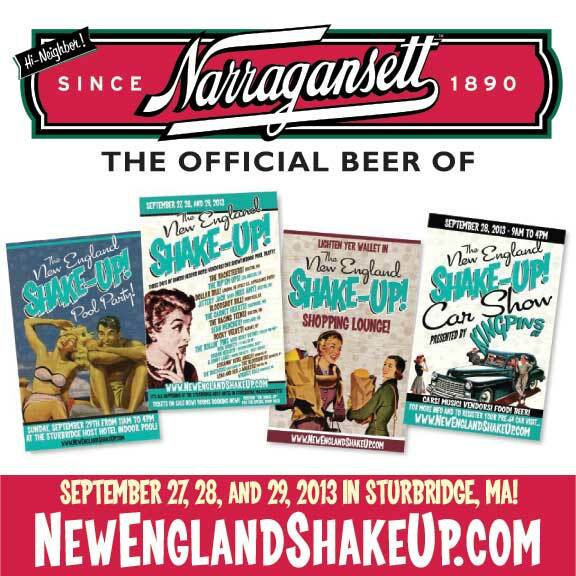 The New England Shake-Up is the only Rockabilly weekender in New England! Buy your ticket before they sell out! Click here for tickets and all the info you need to make this your weekend getaway with ‘Gansett!